The Aten VE8900T HDMI Over IP 1080p extender (Transmitter Only) offers limitless scalability and flexibility from a simple point-to-point to multi-point setup via LAN without distance limitations. 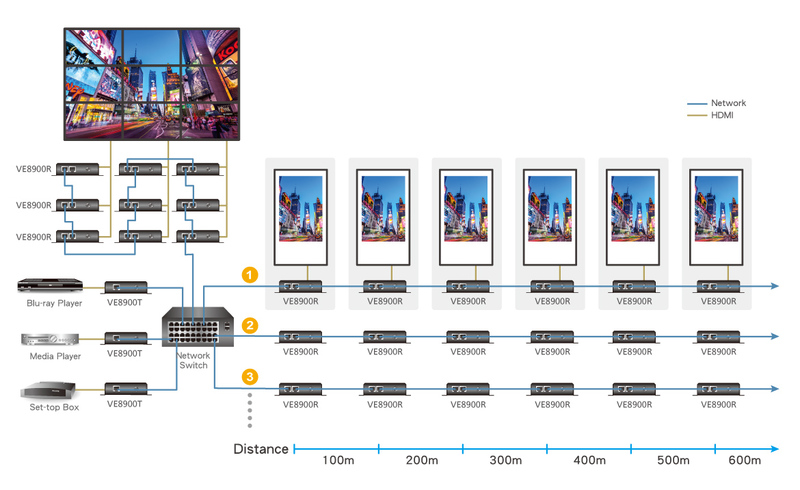 The system can be configured to work as an extender, a splitter, a matrix switch or as a video wall (more transmitters / receivers will be needed to split, use as a matrix or as a video wall). Mix and match the latest 4K displays and 1080p screens. The built-in scaler automatically scales up incoming video signal to match the maximum resolution of the connected display devices. The system delivers visually lossless high-quality video up to 1080p, ensures stunning quality video using ATEN advanced video lossless compression technology and EDID Expert™ selects the optimum EDID settings for smooth power-up, high-quality display and the best video resolution across different screens. Tags: 1080P, hdmi, HDMI matrix, HDMI Over IP, Transmitter Only. 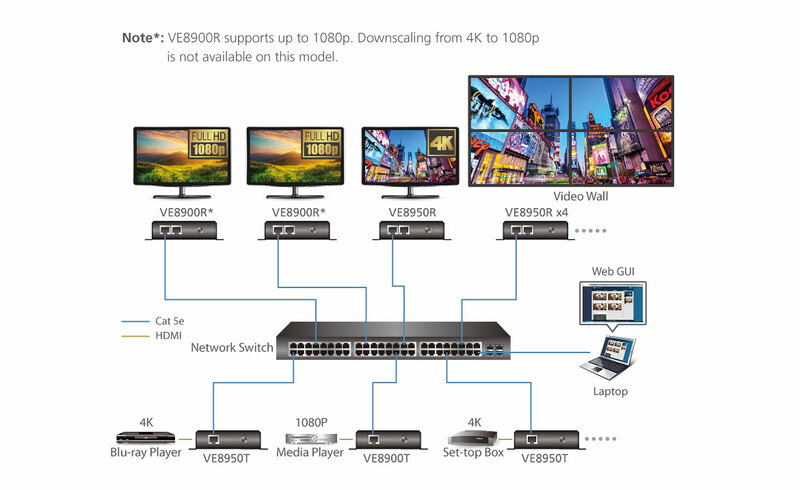 Engineered to meet today’s demands of large scale, multi-display, 1080p signal transmission, and designed to be easy to set up and operate, the VE8900T Video over IP Transmitter is an ideal product for a wide range of environments, such as trade shows, airports, university campuses, conference centers, and shopping centers.